This week, we asked one of our top volunteers, Zuzana, a very lovely lady from the Czech Republic, to pick her favorite images for a special Fantastic Finds Friday (FFF) post. 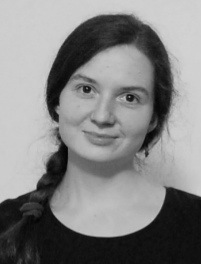 She went way above and beyond — did research on her own, wrote up information and background — and we are very pleased to present to you this week’s #FFF post. *The first of my most favorite finds for the last week is definitely this beauty – Aegina citrea. 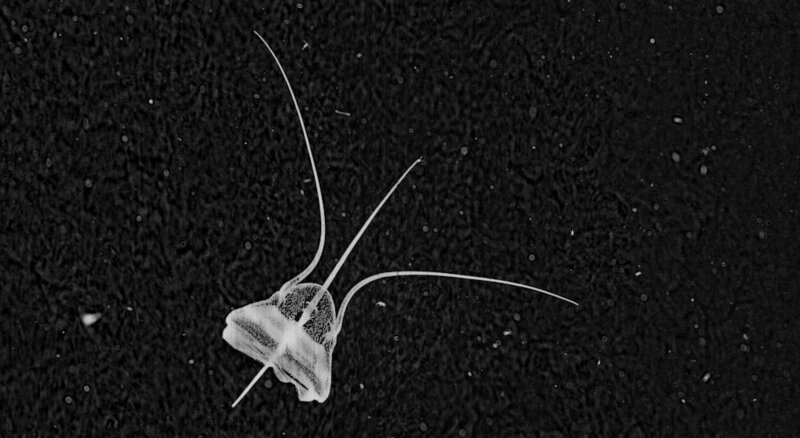 This image of Aegina citrea was captured at a depth of 43.42 m and at temperature of 13.55°C. Aegina is one of the jellyfish belonging to the Narcomedusae Order, like its more familiar relative Solmaris. Members of this order do not normally have a polyp stage. The medusa has a dome-shaped bell with thin sides. The tentacles are attached above the lobed margin of the bell with a gastric pouch typically found above each. There are no bulbs on the tentacles and no radial canals. Narcomedusa are mostly inhabitants of the open ocean and deep waters. 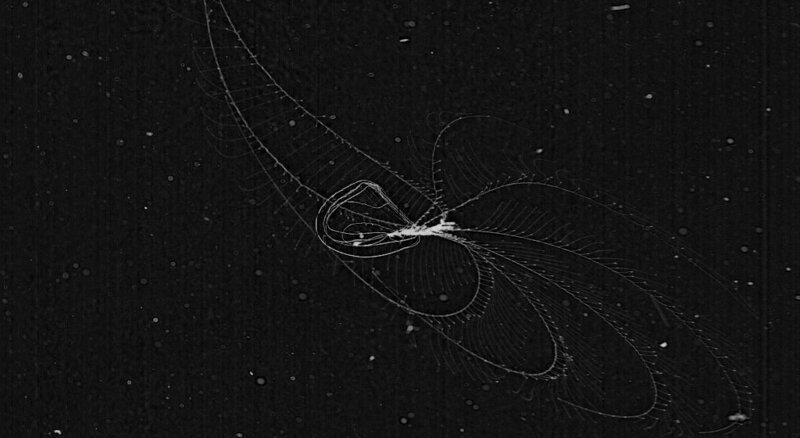 A. citrea is a very rare species in the Plankton Portal images but if you were lucky to get an image with it, mark it as a 4tentacles medusa and start a discussion with using #Aegina tag. CreatureCast – Narcomedusae from Casey Dunn. * The second find I chose for this post is my favorite species: ‘Thalasso’ – Thalassocalyce inconstans. 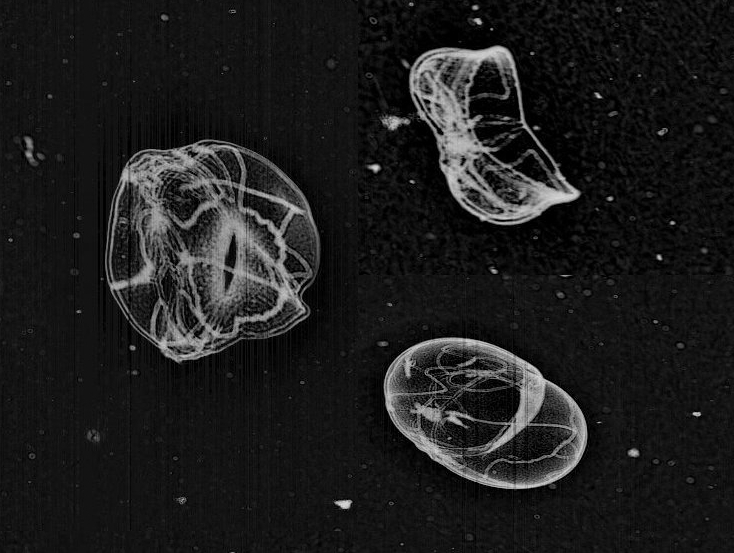 This is a compilation of three separate Plankton Portal images. The Thalasso on the top right was caught while feeding! You can see him opening his ‘mouth’ widely to catch something tasty in the water! Thalassocalyce inconstans, which we have nicknamed ‘thalasso’ on the Portal, belongs to the phylum Ctenophora – the comb jellies. The Order Thalassocalycida contains only one known species first described in 1978 [Madin and Harbison 1978]. They are closely related to the other ctenophore Orders such as Lobata, Cydippida and Cestidae. They have an extremely fragile body that can reach 15 cm in width and is shortened in the oral-aboral direction. Thalassocalyce have short comb-rows on the surface furthest from the mouth, originating from near the aboral pole. They capture prey by movements of the bell as you can see in the pictures. To me they look like an opened umbrella with a beautiful distinct linear drawing engraved on it. Their look is simply beautiful! Also I can’t forget to mention that I’m fascinated by their bioluminescent abilities. The wavelength of the emitted light from Thalassocalyce is 491 nm (SHD Haddock & JF Case 1999). * The third fantastic find is this beautiful ‘Corncob Sipho’ – Physonect siphonophore – Forskalia genus. The Siphonophores are an order of the Hydrozoa, a class of marine invertebrates belonging to the phylum Cnidaria which include coral and ‘jellyfish.’ Although a siphonophore appears to be a single organism, each specimen is actually a colony composed of many individual animals. Most colonies are long, thin, transparent organisms that float in the open ocean. All of the zooids of a physonect colony are arranged on a long stem. This stem has a gas filled float known as a pneumatophore at one end. 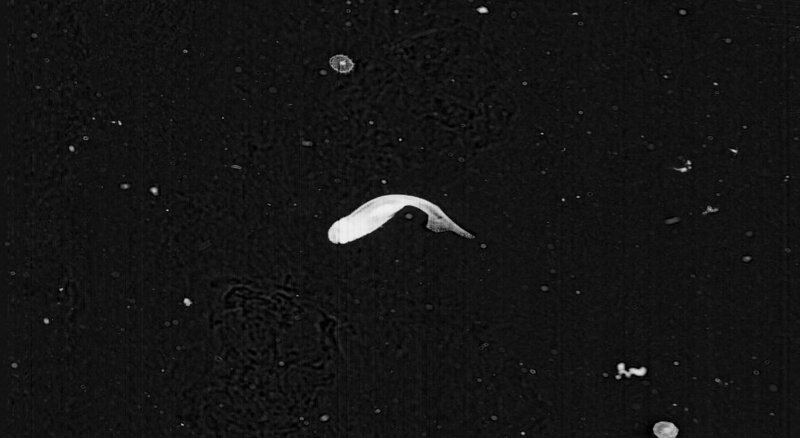 That’s the funny ‘nose’ we are used to seeing and are typical of the Physonectae family of siphonophores. 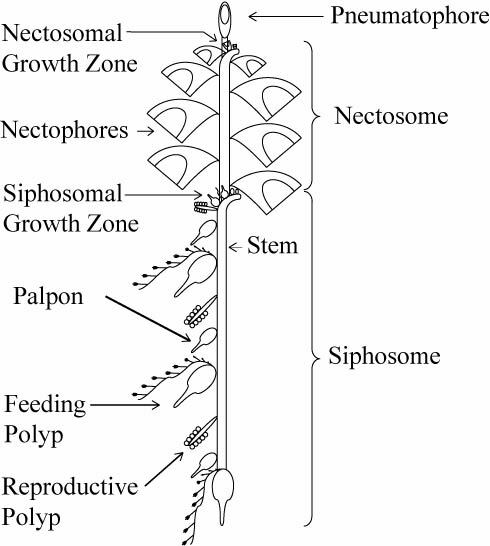 Just behind the pneumatophore are the nectophores. These are powerful medusae specialized for moving the colony through the water. They contract in coordination, propelling the entire colony forward, backwards, and in turns. The region of the colony containing the nectophores is called the nectosome. 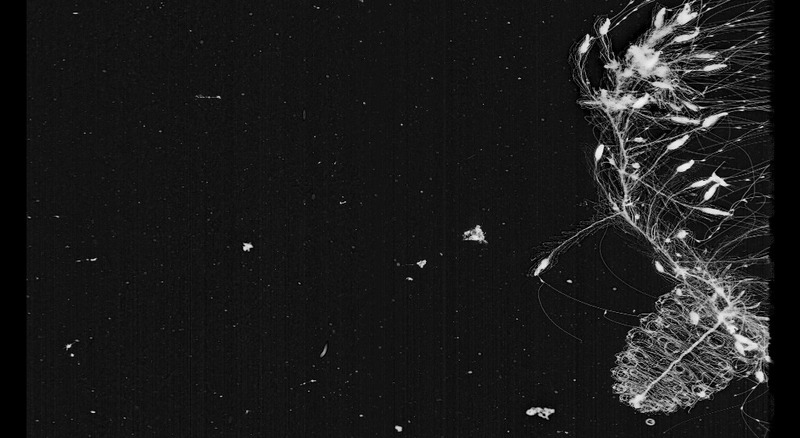 Siphonophores catch prey by putting out their long tentacles and waiting for something to bump into them. * My fourth pick is another Siphonophore, this fascinating ‘Thimble Rocket-ship’ – one of the Sphaeronectes genera captured here in a stunning feeding display. You can see that he’s able to cover all the space around himself with his branching tail. It looks almost like a spiderweb to me. In this position he’s waiting for other plankton swimming around to catch and eat. As I mentioned above, Sphaeronectes is a genus of the Siphonophorae order. Clupeidae is the family of the herrings, shads, sardines, hilsa and menhadens. It includes many of the most important food fishes in the world. Clupeids typically feed on plankton, and range from 2 to 75 centimetres in length. After hatching, the larvae are planktonic and live among other plankton until they metamorphose and grow into adults. The adults typically live in large shoals in the coastal oceans. The larvae are 5 to 6 millimetres long at hatching and have a small yolk sac for nourishment that is absorbed by the time the larva reaches 10 millimetres. Only the eyes are well pigmented while it is a larva. The rest of the body is nearly transparent, virtually invisible under water and in natural lighting conditions. The larvae are very slender and can easily be distinguished from all other young fish of their range by the location of the vent, which lies close to the base of the tail and is an opening for excretion of eggs and sperm. But distinguishing clupeids from other types of larval fish at this stage requires expertise and close examination. ISIIS images are of a high enough resolution to allow experts to determine the taxa of larval fish captured in the data! I hope the article wasn’t too boring for you and that you have enjoyed reading it as much as I’ve enjoyed writing it. And do not forget, if you think you’ve found something really neat on the Portal use hashtag #FFF in the discussion boards. I can’t wait to see what else will be found next! Big thanks to Ben Grassian for the consultations! This entry was posted in Citizen Science, Fantastic Finds and tagged Aegina, Aegina citrea, calycorphoan siphonophore, citizen scientists, clupeid, clupeidae, fantastic finds friday, FFF, Forskalia, herring, larval fish, narcomedusae, physonect siphonophore, rocketship siphonophore, rocketship thimble, Siphonophore, siphonophores, Sphaeronectes, thalasso, thalassocalyce inconstans, thalassocalycidae by jessicaluo. Bookmark the permalink. This is what I would call the *opposite* of boring. Thank you for the awesome post! I don’t know why the link is missing in the post. Thank you for letting me know! Hey, the link has been added, thanks for the heads up !